Marshall McLuhan‘s enigmatic phrase – medium is the message- from the sixties gives him credit for predicting the World Wide Web 30 years ago. He could have just as well have been talking about Data Visualization for Business Analytics. While information management technology has grown at a blistering pace, the human ability to process and comprehend numerical data has not. Visualization opens up the channel of communication between the technologists who create the data and the business people who act upon it. 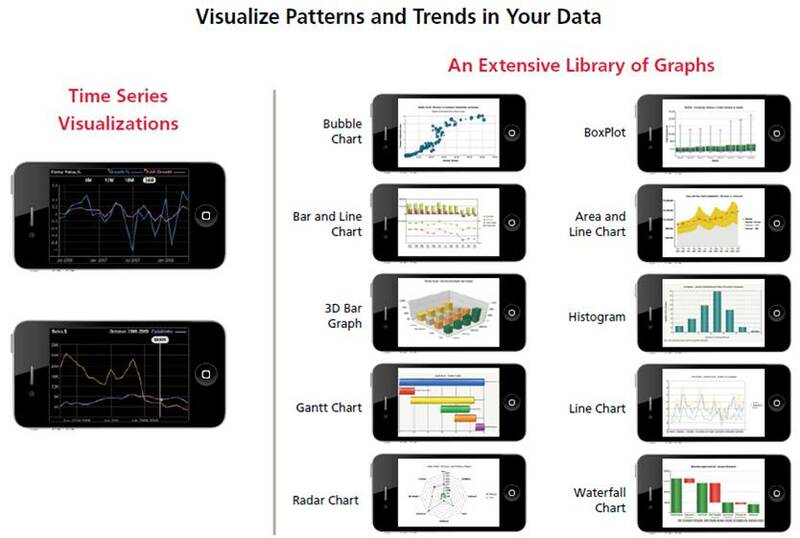 Data visualization tools, such as mashups, executive dashboards, KPI and performance scorecards and other data visualization technology, are becoming more popular and necessary to deal with mind numbing charts and exponential data growth. However, the C-Suite has heard about the promise of dashboards and interactive scorecard for a few decades now and is typically dissatisfied with what they get from IT and the speed at which they get it. The big difference is that visualization technologies have finally advanced to a level where they can give actionable intelligence to the right people at the right time at the right place. 1) Ease of Use: – Pictures and graphs are easier to read than numbers and more insightful than words on a page. The picture of the water levels from the recent tsunami shown in this posting can communicate more information than any seismic data chart. 2) Interactivity – Business users want the ability to change parameters and do their own queries but are loathe to get on a keyboard to do write a query and would rather not go through discussion cycle an IT manager to look at data in a different way. 3) Mobility – Any time any place access is a fundamental need of the modern business environment. The wide-scale adoption smartphones and tablets provides an ideal platform to carry out this requirement. We predict that mobile BI using visualized data which is easy to manipulate will be a giant step in aligning IT with business in 2011. A picture transcends language barriers and communication challenges across organizational silos more effectively than any form of numerical data. There are those who argue that the emphasis on visualization (simplicity) minimizes the advanced technology that is a bulk of the work in information management. All the work that goes on in processing data is of no value if it cannot support a better business decision. The visualized data is all that matters. The tip of the iceberg is the iceberg. An interesting outcome of the demand for better data visualization is the need for better data quality and scrubbing. Before you can analyze and visualize data, it needs to be scrubbed and standardized. What does this mean? Perhaps some data entries list “New York City” while others say “NYC” or “New York, NY.” Data needs to be standardized before you can aggregate to see patterns. As data volumes grows, we predict data quality projects will mushroom. Otherwise it will be garbage in, garbage out.